Plus, the experts try to settle the debate about speed vs weight when it comes to arrow effectiveness. Think you have to go to the outer reaches of the wilderness to bag a behemoth whitetail buck? A world record nontypical whitetail that lived on public land within sight of a major city disproved that theory. Get the backstory on this big city buck by watching King of Bucks television, which airs on The Outdoor Channel Saturday, Aug. 30 at 9:30 a.m. Eastern time. 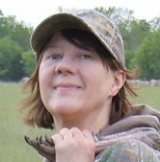 Those who trespass on private property can make a hunter hot under the camo collar. RedHead Pro Hunting Team member Bob Foulkrod will tell viewers how to legally deal with this aggravating and possibly even dangerous issue. Plus, you’ll find out just how waterproof that rain suit is when RedHead Pro Hunting Team member Allen Treadwell puts RedHead Bone Dry rain gear to the extreme test. Lastly, an exciting Kentucky hunt with RedHead Pro Hunting Team captain Jerry Martin is a testament to why he likes his .270 best for hunting whitetails. Each week, King of Bucks brings deer hunters’ dreams to life. This show, produced by Bass Pro Shops, is dedicated to hunting whitetails — not just big deer or nice deer but world-record deer. Viewers will see techniques and tactics used to take some of the biggest whitetails ever and relive the excitement of the hunt as told from the hunter’s point of view. For more information about Bass Pro Shops King of Bucks, visit the Outdoor Channel King of Bucks Television.